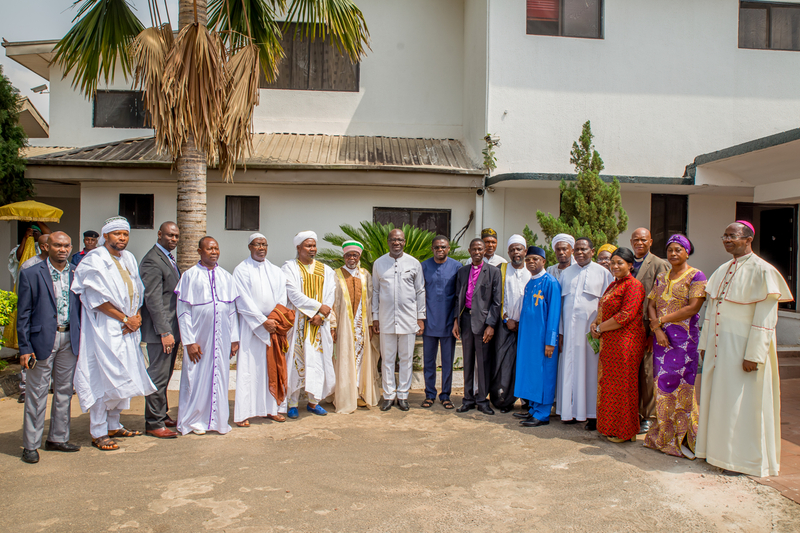 Edo State Governor, Mr Godwin Obaseki, on Saturday morning, hosted religious leaders at the Government House to discuss the place and role of religion within the social framework of the state. Addressing the religious leaders, the governor thanked them for their support during and after the election, even as he noted that he was not collaborating with them to satisfy political desires, but to achieve social objectives. He further explained that the issue of street children was important to his administration and explained how the social leaders, being close to the pulse of the society, can work with the government to correct the situation and prevent the land from failing. “We are very keen on education and are trying to see how we can train the children. You (religious leaders) have a long history in training children. One of my major aims is to create 200,000 jobs, but our style as a government is to be efficient with our greatest resource, which is time, not money”, he said. Meanwhile, Reverend Felix Omobude, President of the Pentecostal Fellowship of Nigeria, noted that he would have been unlettered had good government policy been absent from the system. He also urged Governor Obaseki to do the best to uphold good governance. For his part, the Otaru of Auchi, Alhaji Aliru H. Momoh (Ikelebe III) commended the governor and said that the meeting had been a long time coming. “You are on the right track for calling this meeting because we will leave here and meet, Christians and Muslims, at the interreligious councils, although we hardly ever have clashes at Auchi”. Also at the meeting were Rt. Rev. Peter Imasuen, Chairman of Christian Association of Nigeria, Evangelist (Mrs) Margaret Agbonifo, Imam Abdulfatai Enabulele, Chief Imam of Benin, and other religious leaders.